In 2006, while on a sacred journey in Mexico, I encountered for the very first time, the mysterious Crystal Skulls. It was a life-changing moment that catapulted me unto a new phase of my spiritual journey. 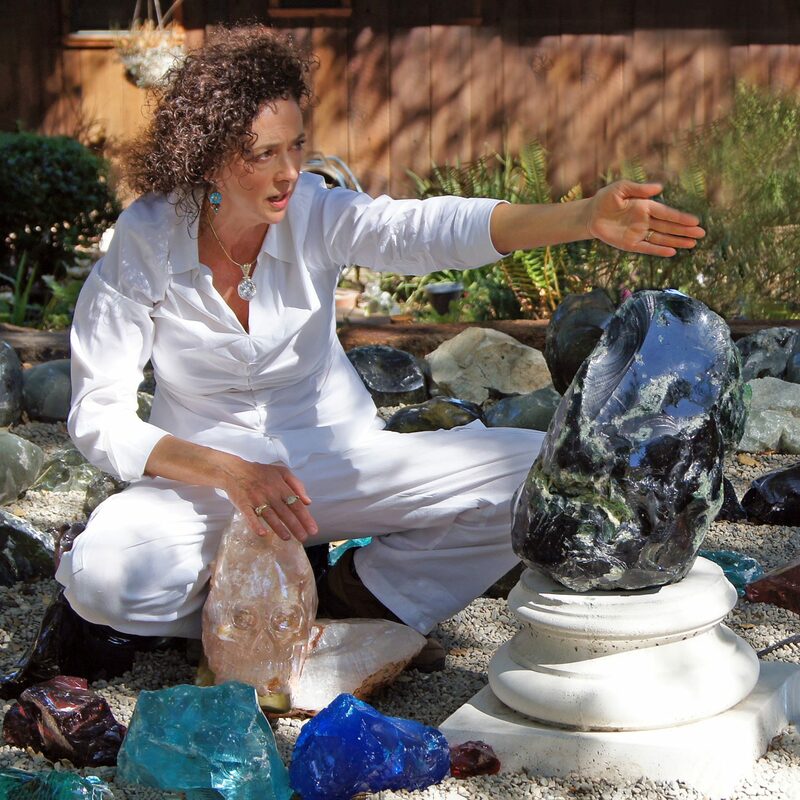 Since then, the Crystal Skulls have become an integral part of my life, my healing work, and my music. I can totally understand the negative reaction people may have when first encountering the crystal skull phenomena. We have been programmed to recoil from the image of the human skull as a symbol of death, and even darkness, however nothing could be further from the truth. The skull in fact, represents life! Our own skull is the receptacle or container for those most vital things that give us life – our breath, our sight, our hearing, our sense of taste. our sense of smell, and above all, our ability to think, speak and communicate. It is the housing for our brain. Working with the Crystal Skulls can help mirror back to us our own essential essence, and our connection to the original creative, universal, Divine Source of all life. 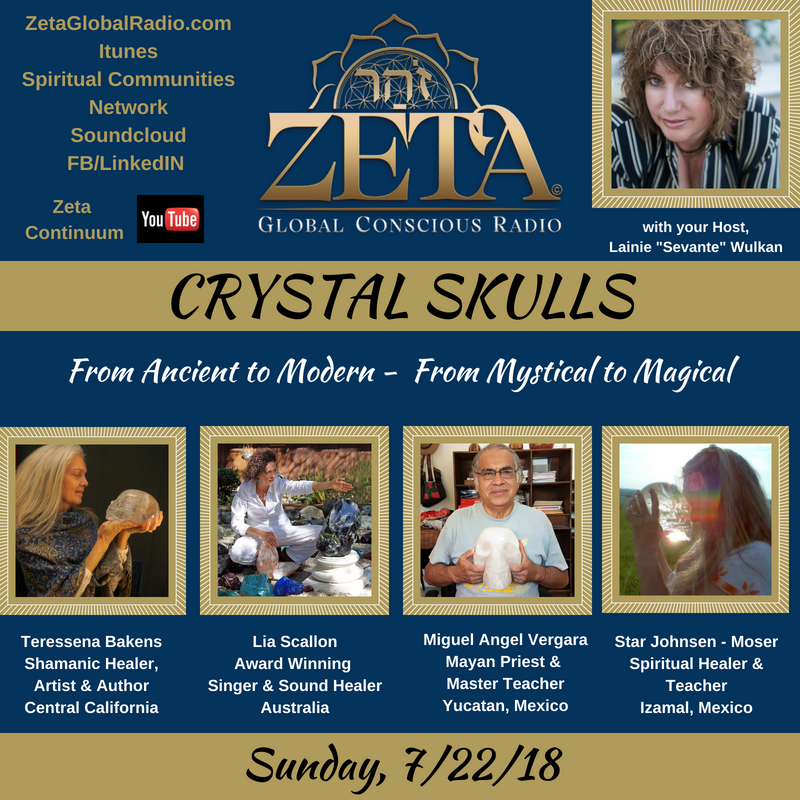 If you would like to learn more about the mysterious Crystal Skulls, or if you are already a Crystal Skull caretaker, you might like to tune into a 1-hour special on the topic, which airs on Zeta Global Radio on Sunday 22nd July (Monday July 23rd in Australia), in which myself and three other Crystal Skull caretakers from across the globe are interviewed by Lainie ’Sevante’ Wulkan, Host and Creator of Zeta Global Radio. ZGR is a spiritual talk show designed to enlighten, expand, inform and educate its listeners. In its third year, and currently heard in 50+ countries, Lainie’s radio show features both established and emerging leaders in the consciousness movement. So, whether you are new to spirituality and conscious living, or have been leading an awakened life for some time, these shows help to connect us to a deeper understanding about ourselves, and the greater role we each have as stewards of the planet. May the Crystal Skulls bathe you in their Love, their Wisdom, and the Light of illumination as you listen. 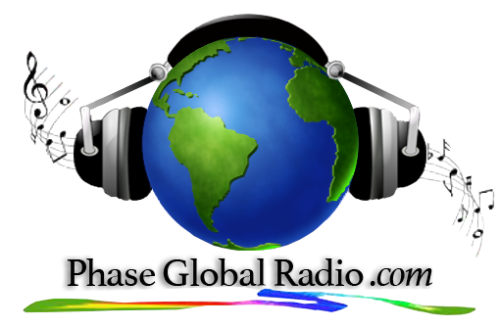 LISTEN ANYTIME: Click the link to listen anytime thereafter!